Many news organizations have seen their staffs reduced in this era of corporate-owned media. In order to address this and help them provide content every day using less resources, a collection of media companies have entered into a variety of agreements with the Republican Party, celebrities and others to “make news” each day that is identical to the previous day which allows the news media to re-use previous headlines and articles on a regular basis. Thanks all for the laughs. 😆 Thanks for my Saturday morning laughs AdLib. Most are about as intelligent as a pile of dog s**t.
Ok, now I’ve got the giggles. 😆 Love them all! 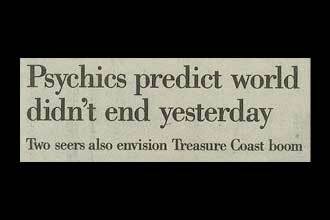 To the headline below, that is really Zen. The sound of one hand clapping. It’s a darned shame how tight-lipped those homicide victims are, isn’t it? I wonder why. And they’re so consistent. 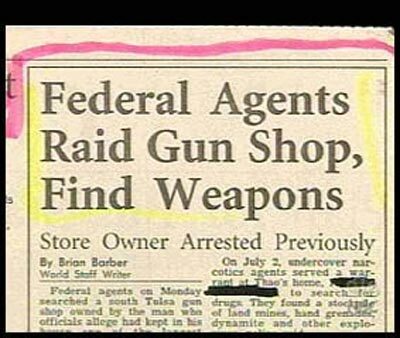 I mean, I’ve never heard of a single one of them cooperating during police interrogations. Ever! David “LOL” Cameron should be driving the bloody bus with a megaphone strapped to his slack, mean gob. Let’s see how many people would still vote for these yobs then. I think it’s due to intimidation that homicide victims don’t report that crime to the police, they may be afraid of retaliation, just a theory. Cameron is a bad headline in a suit. Really, wasting money on urging the homeless to go home? That is even more idiotic. Ha, I love it. Pretty funny stuff. 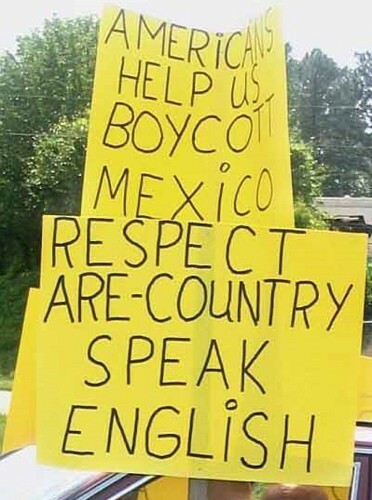 This reminds me of a poster held by a tea bagger at a rally I saw. “I Support Home Scholling” No kidding. Oh man, so typical, or should I say stereotypical? 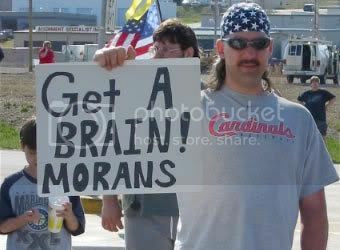 He not only misspelled moron, he put the explanation mark in the wrong place. Notice the star spangled mullet! Too funny. Wonder if he could spell “mullet” without using the letter “i”? He would have to mull IT over.